Papillon is a luxury bed and breakfast on the edge of the rainforest, near Port Douglas and the fabulous 4-mile beach, the best tropical beach in Australia. We are close to wonderful Mossman Gorge. 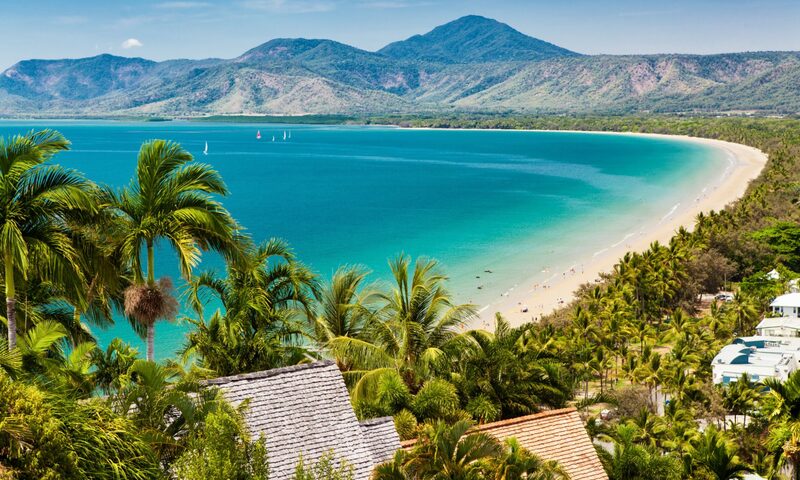 The Great Barrier Reef and Daintree National Park are on our doorstep. The bustling city of Cairns and the volcanic lakes on the Atherton Tablelands are an hour or so away. Papillon Bed and Breakfast is a wooden pole-house with private guest accommodation; rooms have their own entrance. Relax, check your emails (free WiFi); unwind on your private deck; swim in the heated pool; enjoy half an acre tropical garden and watch the Ulysses swallowtails and the many other butterflies; listen to the birds; have a massage, read a book or watch a DVD. Be discriminating. Choose comfort, great breakfasts and the perfect environment for your holiday. Contact us for more information. Papillon is a luxury bed and breakfast on the edge of the rainforest, guest house accommodation near Port Douglas and the fabulous 4-mile beach, the best tropical beach in Australia.